Everyone in the service industry knows that there are good days and then there are those very very bad days. Probably the first person you meet when arriving at your hotel is the doorman – or whatever other title the hotel chooses to give him. He is the one who opens the door of the taxi, welcomes you to the hotel and beckons the bellman to take your bags into the hotel. Now whether you intervene at this stage and say “No – that’s OK, I can do this myself. It’s just a carry on” is going to have an impact on that bellman’s pay because after all that’s how most people in the service industry make a reasonable living – salary plus tips. The downside of this is that you are now forced to have that awkward trip up in the elevator while you make small talk. This is excruciating for me and I am quite sure the bellman feels the same way. Then your bags are wheeled inside and the bellman goes through the standard tour of the room. “This is the air conditioner….this is the TV control.” Really? So now you are scrambling through your bag looking for notes to tip him. Well travelled people usually take care of this even before they pull into the hotel and have a few notes conveniently ready in your pocket. Remember the Scout’s tip – Be Prepared. But when you take the same scene to a foreign environments like Africa or India it takes on a whole new feel. Who can resist the Masai warrior in his traditional dress with those blindingly white teeth gleaming through a smile that stretches from ear to ear. No one! 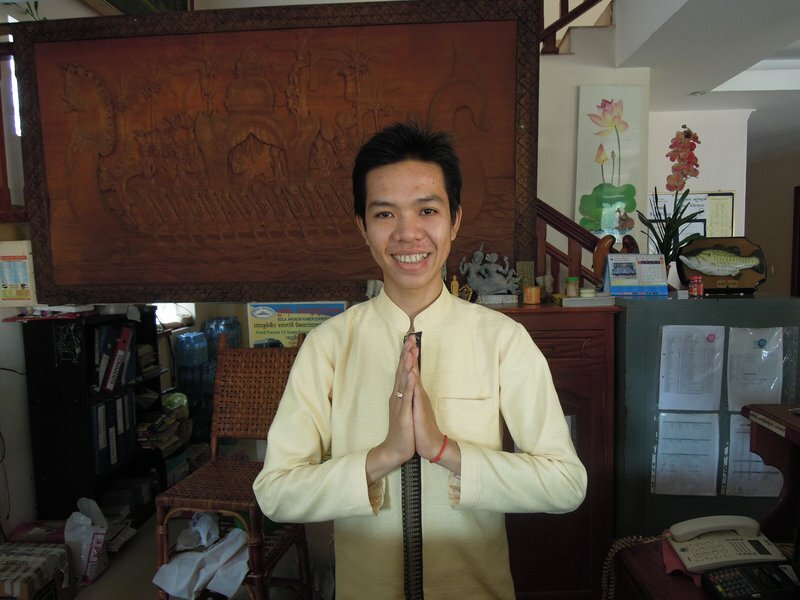 Who can resist the Cambodian welcome of clasped hands – as if in prayer? This is when things start to change a bit and engaging in small talk takes on a whole new feel. When the bellman shows you around your room in New Delhi you are probably safe to say that his awe for the flat screen tv and the jacuzzi bathtub are genuine as this is a long way from what he experiences in his home. Not a day goes by where I don’t get the question, how much should I tip you, or what can or can’t you do for me. I want to do this to help people not end up being labeled as “That Guy” (the guest who makes us cringe every time we see you). Here are some tipping suggestions to help get the ball rolling. Keep in mind this can vary depending on how nice the hotel is and how much assistance was given. As a reference point my Hotel is full service (meaning we have valet, overnight staff, room service, concierge, etc.) and charges between $180-$700 a night depending on the room. Second and my most important – if you take care of the staff $$$$, they should take care of you, and maybe even go above and beyond. There are two people we remember, those who tip well, and those who don’t tip at all and or are rude. Don’t get labeled as “That Guy” off the bat. It will assure you receive mediocre or no help during your stay. So spare a thought – and some change – for the bellman. Have you reached the tipping point? When it comes to paying for service how do you feel about that? Do you feel that you have paid enough already for the hotel / cruise / dinner that you don’t really need to start shelling out cash left right and centre? 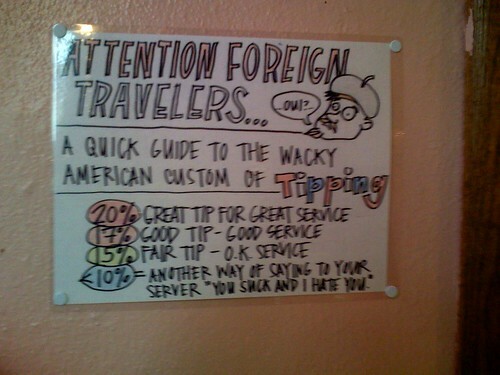 There are some countries where tipping is not expected – such as Australia and the Cook Islands to name just a couple. There are also cruise lines (such as Silversea) and hotel chains (such as Sandals) where tipping is expressly discouraged. The reason for this is clear – they want their guests to be totally relaxed the entire vacation and not feel that they have to walk around with a bunch of small denomination notes for tipping. Service people very often depend on tips to make up their income. I do believe that tipping is an expression of satisfaction with a service well provided and I hate the feeling I have on some cruise lines (who will remain nameless) that I actually have to tip this poor Filipino or Russian because the cruise line is paying them such a miserable salary. Having said all of that I sometimes cannot believe how mean people can be when it comes to tipping. 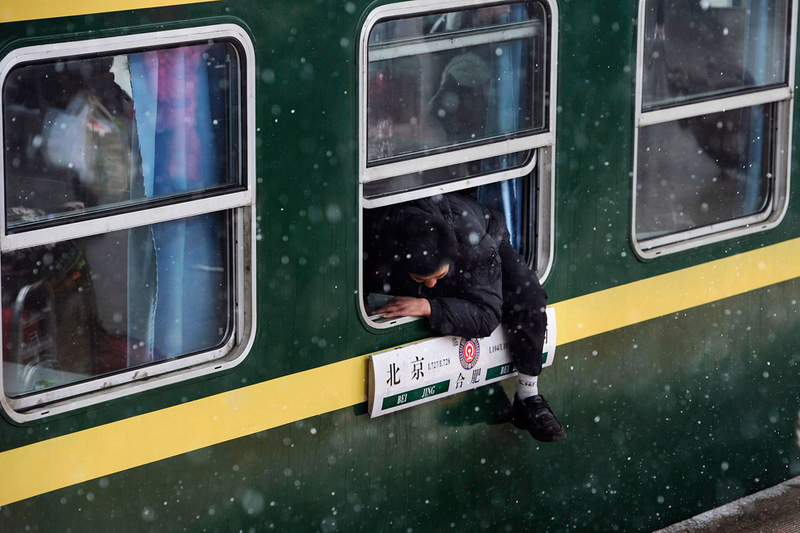 Go on a tour and watch the people climbing out of the rear exit of the bus to avoid the driver and tour guide. Shame on you people! Of course then you do get the other end of the stick. The over-eager, super-friendly server who wants to be your best friend for a whole week. We had one such person on our Seine river cruise a couple of weeks ago. Don’t get me wrong. He was brilliant. He knew everyone’s name and remembered it. He knew what drinks people liked. He was proactive, prompt and pretty damn creepy. 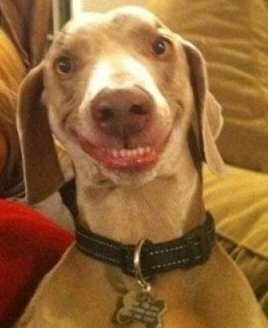 He had a smile like the dog who wants some treats…. No…. he was worse than that. Sad thing is I felt sorry for him and we probably tipped him more than anyone else.